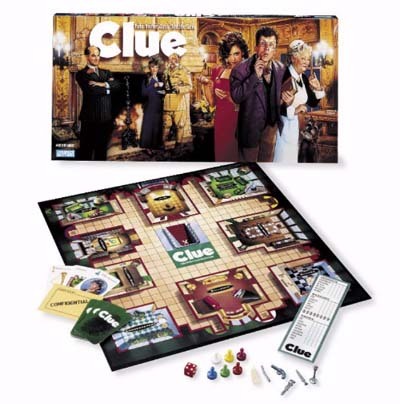 Other products in the "Clue" series. This is a great game to have.Easy enough for your whole family to play, fun so that you will enjoy it while playing with your kids. This is a classic, one you should pick up and play with your kids. As I point out about most Classics, you can have the best game ever made on your shelf... if nobody is interested in learning something, you'll never enjoy it. Sometimes you just need to compromise and play an old favorite. Clue has its merits, and I do enjoy playing it. There are much better whodunnit games out there these days, but Clue is still on my shelf! A fantastic game for all ages. Although it deals with adult themes (murder), it can still be fun for younger audiences. Involves some strategy and sleuthing skills. Clue is intuitive provides a good narrative. I think this is what makes it stand out from most other deduction games out there, which tend to feel very abstract. Clue has a great theme and it fits absolutely perfectly with the deduction mechanism.